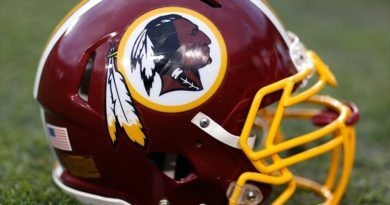 The 2018 NFL Draft is now a thing of the past. Which means it’s time to focus on which prospects will possibly make the biggest impact this season on the defensive side of the ball. Before we get started, let’s pinpoint some dark horse candidates for NFL Defensive Rookie of the Year. Edge Harold Landry, Tennessee Titans – Landry saw a surprising fall after slipping to the 41st overall selection by Tennessee. 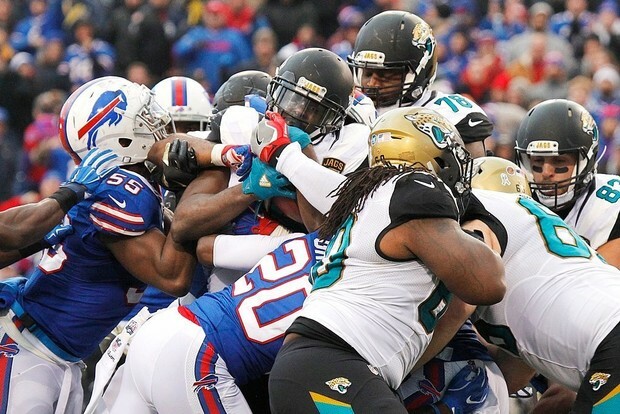 Landry’s athleticism makes him a great candidate to post impressive sack numbers this season. New Titans head coach Mike Vrabel will find a way to insert Landry into his 3-4 scheme and his skill set will make him a natural. DT Vita Vea, Tampa Bay Buccaneers – It’s not often that nose tackles make significant impact in year one but Vea has the talent to do so. Vea is over 340 lbs but is one of the more athletic defensive tackles to enter the league in quite some time. With opposing linemen defending Gerald McCoy and Jason Pierre-Paul, a big rookie season may be on par for the excellent Vea. CB Jaire Alexander, Green Bay Packers – The second cornerback taken in the first round, Alexander brings playmaking ability to a Packers secondary that has been in need of it for a few seasons now. While he is 5’10 and considered “smallish”, his versatility allows him to play literally everywhere. His ball skills could thrust him into the spotlight as one of the top rookies this year. DT Maurice Hurst, Oakland Raiders – It’s not often that you see a top-15 talent at worst fall all the way to 140th overall but Hurst saw a steep drop thanks to health concerns over his heart ailment. A risk without a doubt by the Raiders but Hurst is incredibly talented and has drawn comparisons to Cincinnati defensive tackle Geno Atkins, one of the most underrated players in all of football. Oakland’s scheme puts Hurst in a prime position to have a major impact from day one. DE Bradley Chubb, Denver Broncos – Very few saw the Broncos taking the top pass rusher in the draft at fifth overall, but adding Chubb alongside top pass rusher Von Miller gives the Broncos a dangerous tandem going forward. Chubb has great size at 6’4 269 lbs and posted 10 sacks in each of the past two seasons at North Carolina State. Chubb will benefit from playing across Miller and that may equal double digit sacks this season. LB Roquan Smith, Chicago Bears – Smith was a particular favorite of mine entering the draft and the eighth overall selection has future All-Pro written all over him. His talent level proves to be elite in both pass coverage and run defense. With his sideline-to-sideline skill set, Smith will blossom playing with the improving Chicago Bears front seven. LB Tremaine Edmunds, Buffalo Bills – When you stand Edmunds next to Chubb, the two frames are somewhat similar. Edmunds is 6’4 253 lbs but the athletic marvel is now looked upon as the starter at middle linebacker for the Bills. His freakish athletic ability and excellent instincts is exactly what head coach Sean McDermott wanted to insert to lead his up-and-coming defense. 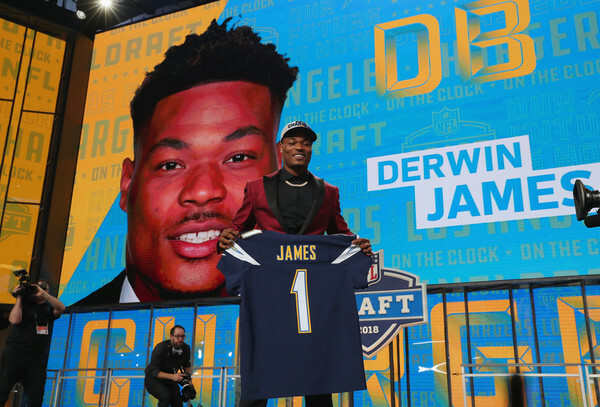 S Derwin James, Los Angeles Chargers – One of the biggest steals of the entire draft. The Chargers may have found themselves the next transcending talent in James. 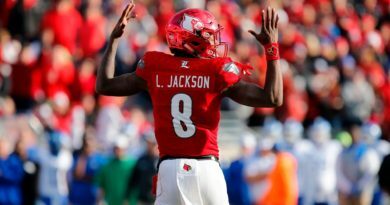 He was constantly lined up at several positions while at Florida State and the same will likely occur with the Chargers. James has a nose for the football and his presence in the Chargers defense could result in the Chargers having an elite defense in 2018.